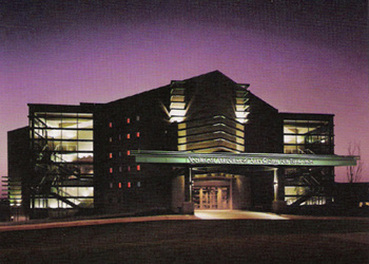 The beautiful VanTrease Performing Arts Center for Education (PACE) is known as one of Tulsa’s premier performance halls, and home to the Signature Symphony at TCC. Created as an educational resource for all of Tulsa, the PACE houses the College’s performing arts programs, along with the Signature Symphony, which resides as a professional orchestra operating under the auspices of Tulsa Community College. The 1,500-seat main hall features a proscenium stage and exceptional seating on three levels: 10 private theatre boxes, tiered orchestral seating, and a balcony. The Studio Theatre features flexible seating of up to 200 with the capacity to host performances, recitals, receptions, rehearsals and a variety of other functions. The VanTrease PACE also includes a fully-equipped scene shop, metal shop, sound recording studio, design studio, lighting design laboratory, costume shop, teaching studio, and practice rooms. For information and tickets for a variety of PACE performances and events, call 918-595-7777. See the PACE calendar of upcoming events!